Here’s a photo of a hallway which was flooded and the water damage was so extensive, that even the baseboard is being lifted. 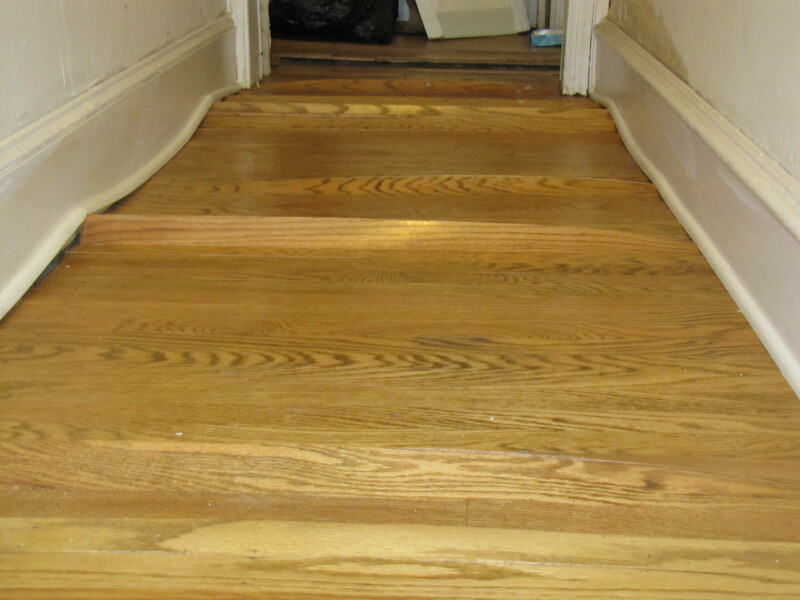 Floors in such conditions can not be restored, as the only course of action is to completed remove it, dry the sub-floor, and reinstall new hardwood flooring. This particular property was a vacant rental to which no one was checking on and a pipe burst. Such cases seemingly always get denied from any insurance policy because they are vacant. This project was a complete out of pocket expense for the home owner.